Difference between IMAP and POP3 and for how long they store mails on the mail server. 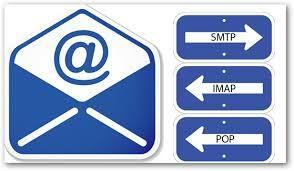 Using IMAP, mail server permanently stores the messages. This means that you can access them through any computer as long as you have the correct login details. Also, unless you use a mail client that synchronizes folders and caches messages, IMAP requires a constant connection while you read email. This method is more convenient than POP3, it generally requires more dedicated disk space than POP3 because users tend not to delete old email. However, if you monitor disk usage and delete old messages when necessary, IMAP is still viable on a mail server with limited resources. Users and web host generally prefer IMAP due to its convenience. Carefully consider system’s available resources before you choose a courier. Using POP3, mail server deletes messages when you download them. That means that you can only access messages from the computer that you used to download them. POP3 don’t require constant connection while you read email. This system conserves your mail server’s disk resources, it limits how your users can access their email. cPanel logs is a honeypot of information to quickly resolve various issues and server errors. Below is a list of the cPanel logs most commonly used by cPanel administrators, and the commonly sought information in them. To find what happened to email’s sent to an outside server, or one that came into this server. To find out when the mailbox was accessed, using which IP, and if it was successful. To find out if a mail was tagged as spam and what was the reason for it. To find out if a mail was rejected at connection level due to an Exim security policy. This Logs under the directory will shows what happened to various mailing lists. Find out why Exim or Dovecot servers crashed. Logs related to SquirrelMail errors. Logs under this directory shows mail delivery details and RoundCube access errors. This Logs under the directory show Horde errors. To find out which IP uploaded the files, under which user ownership, and status of upload. Find out what caused a database server crash. Find out which database and user has un-optimized queries. 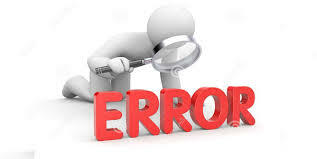 Details of error returned in the web site. To find out which IP accessed the site at given time, and the status of access. Details of the mod_security deny error. Find out under which user ownership a script was executed. Find out at what all times Apache was restarted through WHM. To find out if a cron ran as per schedule. Most system errors and events will be logged here. To find out why an IP was blocked. To find out what malware was detected, or why a file upload failed. To find out who all tried to login to the server, and from which all IPs. To find out what all packages were updated, and when.